Solution is made for cleaning the nail bed, to remove the sticky layer also for moisten the gel brush and assists polyacryl gel into better shape. 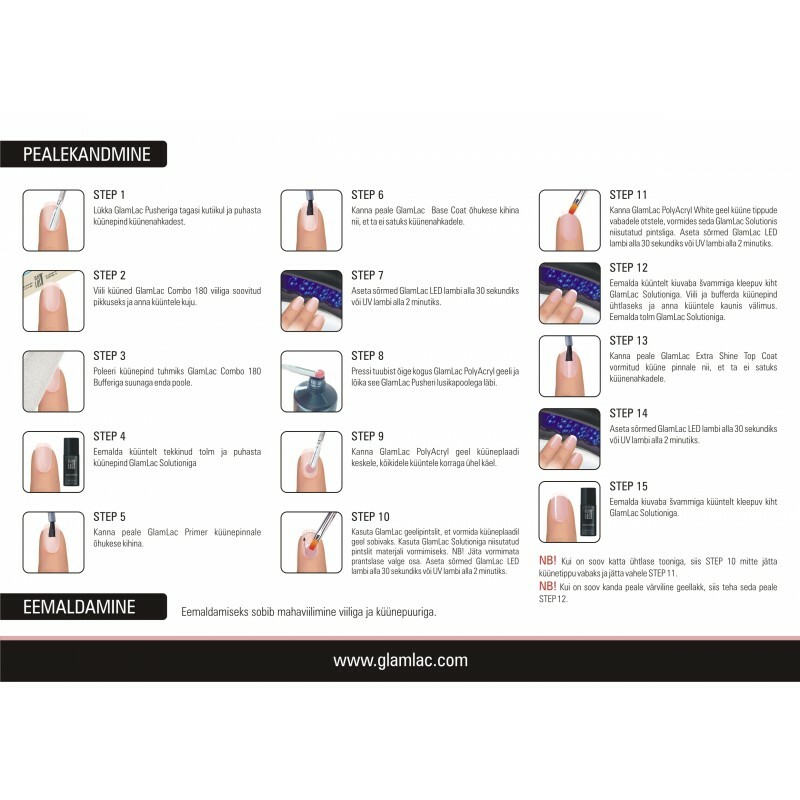 Apply GlamLac Polyacryl Gel to nail plate. 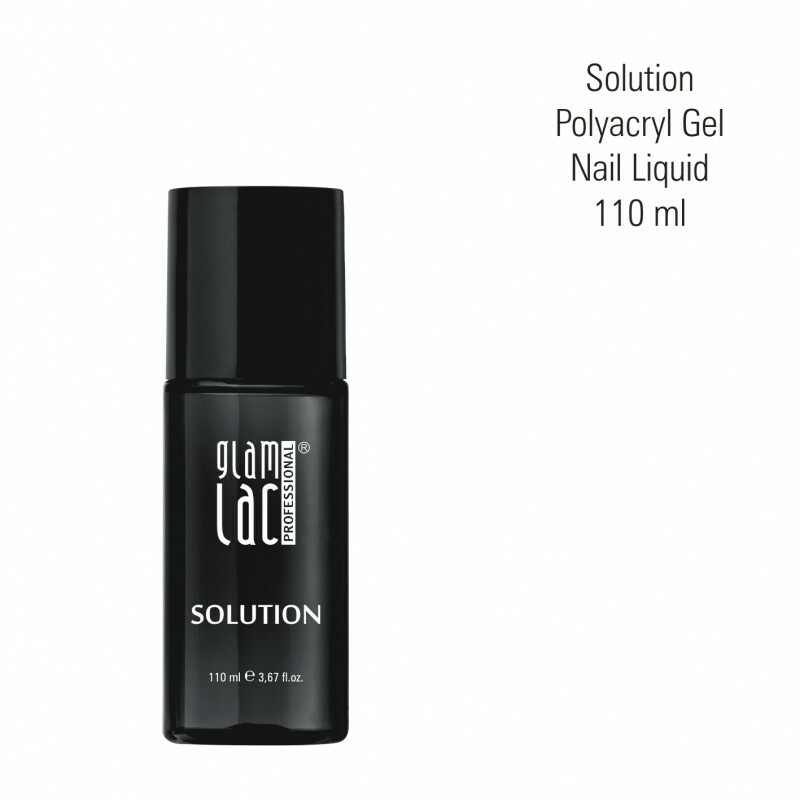 Moisten brush with a small amount of GlamLac Solution and slide product into place. (Do not Tap). Cure in the LED light.